Give Light, Get Light and join us in our mission to make the world a brighter place. When we think of our most basic human needs, we often think of food, water, and shelter. But when architecture graduate students Anna Stork and Andrea Sreshta were asked to design a product to assist post-earthquake relief efforts in Haiti, they considered the dangerous conditions at night in the tent cities and turned their attention to another critical need: Light. Now everyone’s getting the bright idea: hikers in Yosemite, backpackers in Whistler, and emergency workers in Nepal alike use LuminAID to light their way. 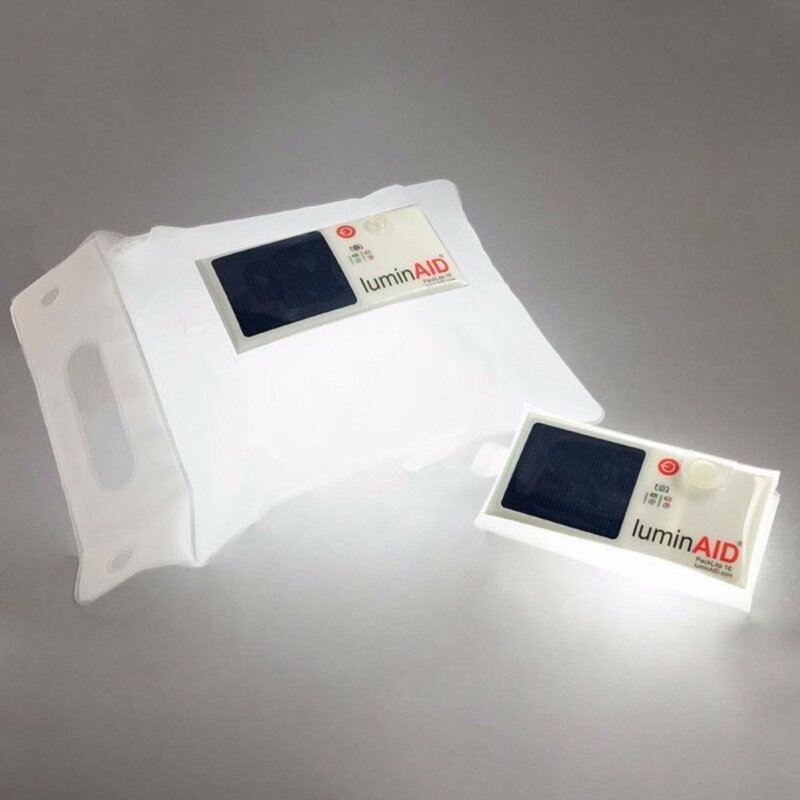 Even the reality investment show ABC’s Shark Tank saw the LuminAID vision irresistible, and invited Anna and Andrea on the show for a chance to premiere their product on primetime. LuminAID lights have been used in more than 70 countries and after disasters, including Hurricane Sandy, Typhoon Haiyan and the earthquakes in Nepal. Andrea Sreshta is a current MBA student at The University of Chicago Booth School of Business and co-founder of LuminAID. Andrea previously worked in and studied design and architecture with an emphasis in project management. She also spent time as a summer associate intern at McKinsey and Company. She earned a bachelor’s degree from Yale University and a Master’s in Architecture from Columbia University prior to attending Booth. She is originally from Houston, Texas and currently resides in Chicago. Anna Stork is a co-founder of LuminAID Lab. She was a 2012 Kauffman Global Scholar at the Kauffman Foundation for Entrepreneurship. As a Kauffman Fellow, she was an Operations Intern for the retail start-up Warby Parker. Anna has also worked in product development at the Department of Defense with a focus on developing new technologies for the military in remote locations. She completed her Master's in Architecture at Columbia University and earned her B.A. in Engineering and Studio Art from Dartmouth College. JOIN THE REDDYYETI COMMUNITY AND HAVE INNOVATIVE & UNIQUE OUTDOOR STARTUPS LIKE Luminaid DELIVERED TO YOUR INBOX.